In 2007, Bolton resident Inayat Omarji had a great idea. All Souls church was lying empty and unloved, disconnected from the surrounding community that had needed more quality spaces for the community and business to use. He suggested working with the CCT to turn the church into a centre for all the community: All Souls for all souls. 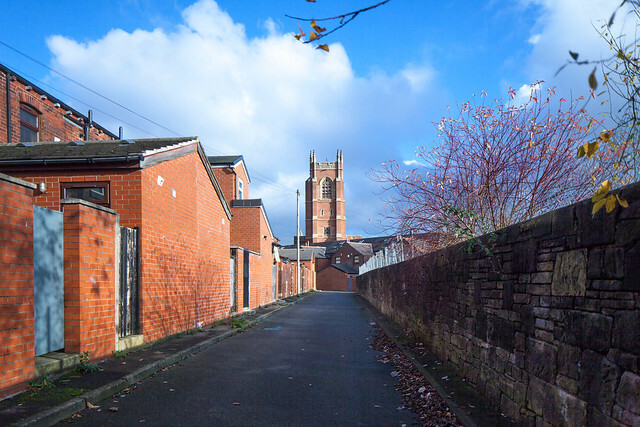 The Regeneration Team worked alongside the community through a newly created social enterprise All Souls Bolton (ASB) to transform All Souls into an award-winning new centre that houses conference, office, learning and community space. Two three-storey ‘pods’ built within the nave house office, conference and meeting spaces, while the ground floor hosts a coffee shop and multimedia exhibition on local history which was co-created with the community. Inayat Omarji, the driving force behind the project, received an English Heritage ‘Heritage Angel Award’ for The Best Rescue of Any Other Type of Historic Building or Site. The project also received four awards at the RICS North West awards for building conservation, design through innovation, community benefit and project of the year. Now into its fourth year of operation, visitor numbers continue to grow and meeting spaces attract increasing demand from Bolton’s business community. Alongside its corporate activities, All Souls delivers a wide-ranging community programme.